The following steps cover all the steps necessary for install the mod_cfml module into Apache on a Windows System. The steps are intended to be thorough, so you may not need to take each step on your own system. For example, you may already have Apache and some of the required modules installed on your system. Feel free to skip those steps as needed. If you have not yet installed Apache on your system, please make sure to install Apache version 2.4. 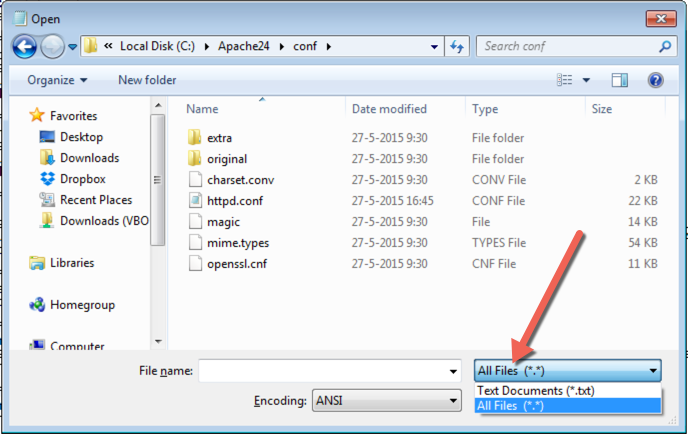 Installing Apache on Windows is as simple as downloading and extracting a zip file. The Apache Software Foundation does not host binary distributions themselves, so they can be downloaded from eg. ApacheHaus or Apache Lounge. Mod_proxy is a connector, that is, it passes requests off to Tomcat for processing, thus "connecting" Apache to Tomcat. Both mod_proxy and mod_jk have been tested with mod_cfml and both work great. If you already have mod_proxy or mod_jk installed, then you may skip this step. However, since you do need one or the other installed, we will cover installing mod_proxy quickly here. This is not intended to be documentation on mod_proxy, but enough to get you up and running. Full mod_proxy documentation is available on the Apache Web Site. mod_proxy and mod_proxy_ajp are part of the default Apache Lounge distributions, however, they are disabled by default. So, we will need to edit the Apache configuration to enable mod_proxy. 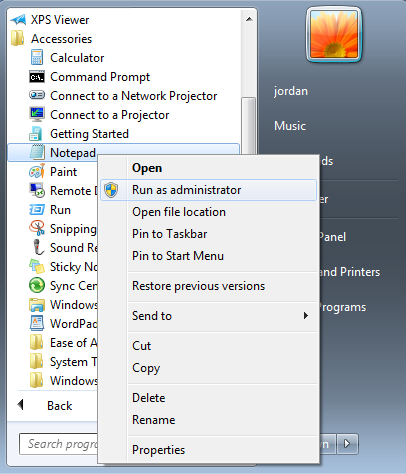 IMPORTANT: We will use this method of opening programs as the administrator user repeatedly during this tutorial. You may need to select the "All Files" option from the drop-down menu in order to see the httpd.conf file that you need to select. Now restart Apache so your changes take effect. If you installed the ApacheMonitor.exe, there should be a little pink feather in your task-bar. left-click it (not right-click) hover over "Apache 2.4", and select "Restart". 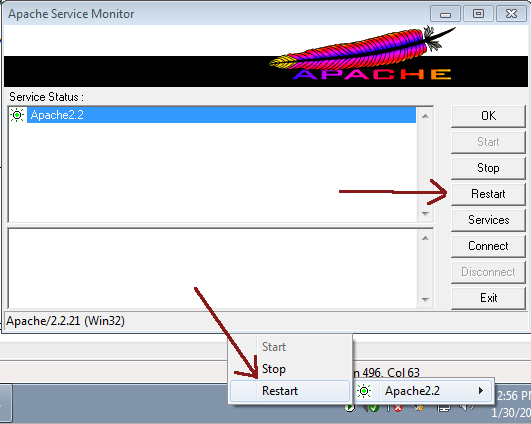 Right-clicking will enable you to bring up the Apache monitor window, where you can also restart Apache if you want. You will be prompted for admin rights if you're doing this as a non-administrator user. Save the file, and then restart Apache. You are now all done now on the Apache side! Congrats, and continue to the Tomcat instructions.